Is Axis Bank being made the target of a massive bear hammering? Over the years, Axis Bank has earned wide admiration for performance, service quality and its governance standards. But for Spark Capital, a Chennai-based brokerage firm, this is just a lot of hot air. A recent newsletter released by the firm is an unusually vicious indictment of the bank's operations. Using the ruse of a chance encounter in a temple in southern India, Spark Capital deals one sledgehammer blow after another to the bank, ending with its own 'sell' recommendation. This is fairly extraordinary, because brokerage firms rarely rip apart even the most badly managed companies, far less one that has made waves for its performance and governance standards. Spark's report is in the form of a chatty description or an encounter with an "accomplished internal auditor of banks" in a "crisp white dhoti", who is quoted "near verbatim". The source is strangely described as a Marauder of Banks (MOB). Of course, it does not hit Spark that one would have to be a bit loony if something that is "nothing wrong" but only inspires circumspection leads one to rub “hands with glee". The tirade ends with Spark Capital chiming in: "We opined we will be happy buying AXIS at Rs 800, a good 25% below CMP and a nice entry price for a long-term play, perhaps… But SELL AXIS today!” It then quotes its own analyst as saying, "If the QIP fund-raise was treated as cash, the stock trades at 3.3x ABV, on par with HDFC Bank and at the highest end of its P/ABV band! SELL AXIS is his recommendation too." And if you still didn't get the real message of Spark Capital, here is the closing: "Before we sign off, here is the disclaimer—most of the contents in this mail are views and observations expressed by MOB. It is coincidental that we share his concerns about AXIS and are recommending a SELL at these prices!" A nice touch, which blames the nastiest bit on some unknown, faceless, probably non-existent person whose credibility is sought to be established by Spark's alleged background check on this man with a claimed experience of 35 years. If the circulation of the letter to a bunch of foreign institutional heavyweights does trigger a 25% price correction, it may provide a big buying opportunity for a few clever people. But even if one or two FIIs are induced to panic, there could be a nice large block of shares available on the market for someone to snap up. When asked, Shikha Sharma, managing director and chief executive of Axis Bank said that a senior executive took up the issue with Spark Capital, which had apologised, but said that it would stand by its research report. She also said the bank cannot discuss individual cases because of confidentiality issues, but plans to write to the Securities and Exchange Board of India (SEBI) about the report. Interestingly, the charges mainly pertain to the tenure of Dr PJ Nayak, who was recently awarded "Banker of the Year" by Business Standard. Axis Bank sources from those days said: "The letter mentions four exposures: Lavasa, Aban, Suzlon and GMR are mentioned. The Bank had a pretty strong focus on infrastructure, choosing projects where an execution track record had been demonstrated. Thus, the Lavasa risk appeared worth taking partly because Hindustan Construction's record over the years was good, or GMR because of the tight execution of Hyderabad airport. Detailed due diligence followed. Of course, if one believes that infrastructure is a risky asset class or if one has strong views about these companies, then the critique gains credibility." Our sources are "puzzled about the bit on the asset-liability mismatch being poor" but do not want to refute it without access to numbers Spark was referring to. On the share premium constituting a large part of the net worth, our sources say, "It is surely an indication of the credibility of the Bank. Would it also not be true of HDFC Bank?" Will Spark Capital's ploy of axing Axis through a possibly fictitious character become the template of negative reports in the future? Be careful while investing in Axis Bank check out what is happening in the leading private sector bank. One should see the Axis Bank's Home loan offer and the agreement that the clients have to sign to take the loan. It's ludicrous. After having some 25 conditions, one condition says and I quote verbatim " AXIS Bank is entitled to add to, change or modify all or any of the above aforesaid terms and conditions"
CAN YOU BELIEVE THIS? Is Shikha Sharma listening? I am asking for a refund of RS 5500 paid to them as loan processing fees as I declined to accept this condition and no one is now listening. Suggestions welcome. Whatever the underlining politics between Spark Capital and Axis bank the bank is no saint. It is regularly cheating the customers not following the RBI guidelines meant forvthe customer's protection and convenience. These inditions are enough to gauge the credibility of a instituation. THIS BANK IS FRAUD !!! I think this is just a publicity gimmick for a small timer !! making? Those who are supposed to must be keeping an eye, of course open. If Spark's assessment is true, then why get in at 800? the stock seems destined to fall much further. this surely looks like a malicious opening for a bear attack. SEBI should be notified by AXIS immediately. Motilal Oswal Asset Management Company (MOAMC) has decided to take the road less travelled and launch an exchange-traded fund (ETF) as its first fund offering. Being an ETF, it has a lot going for it. We consider indexing as the preferred route to investing in mutual funds, since it eliminates a fund manager’s failed effort at stock picking—and finally underperforming the underlying index. Also, it is the first equity ETF offer after a long time. However, poor quality of disclosures in the draft offer document of Motilal Oswal AMC will surely put off investors. There is a lot of ambiguity regarding the index underlying the Fund i.e., its benchmark index. The draft offer document filed with the Securities and Exchange Board of India (SEBI) is almost secretive about this aspect. Motilal Oswal AMC has tweaked the S&P CNX Nifty to arrive at a ‘fundamentally enhanced’ index called MOSt 50 index. Its constituents will be the same as that of the constituents of the S&P CNX Nifty. However, the draft offer document has failed to provide any information regarding the weightages assigned to each constituent of the index since it will be different from the Nifty. It also has no word on how the index would have done in the past. The only fact the draft mentions is that the scheme would invest in the securities comprising the underlying index in the same proportion as the securities have in the index. As such, the benchmark itself is the criteria for selection of stocks. The fund, being a passively managed one, would not select securities in which it wants to invest, but would be guided by the underlying index. 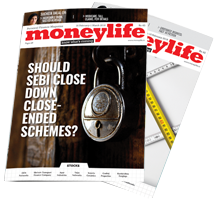 Moneylife’s email to the company seeking clarification on this matter went unanswered till the time of writing this story. 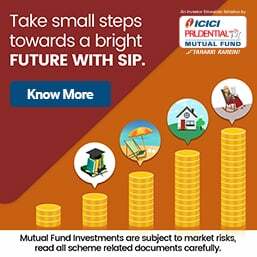 The fund company should explain how the MOSt index has been computed and also how this index would have performed on a volatility-adjusted basis vis-à-vis the Nifty over different market cycles. If there is no clarity about the index and its historical performance, how would investors know how the Fund is going to go about investing its money? In essence, the document is asking investors to blindly place their faith in the process of the Fund. This document is readily available for public viewing at the SEBI site. If SEBI clears the draft offer as it is, it would mean that the final offer document will carry with it all the ambiguities mentioned above. Normally, the fund offer prospectus is expected to clearly define the characteristics of the fund. The AMC’s unwillingness to share the workings of the underlying index with the public should raise some eyebrows. SEBI, as the market regulator, should insist that the AMC disclose the relevant information in full; otherwise, it should not clear the draft offer document. However, considering its past indifference to shady prospectuses, it is unlikely that SEBI will crack its whip. What else can one expect when a broker hits the customer with a fund offering? He must have exhausted his PMS client base with returns lagging and some promise of fancy footwork in the new offering will help to make a nice power point presentation. Have you noticed the the bid-ask spread in Nifty BEES before recommending it? Indian markets remained highly volatile following an uproar over the Women’s Reservation Bill in Parliament. At the end of the day, the Sensex declined 50 points from the previous day’s close to 17,053 while the Nifty declined 23 points to close at 5,102. From here on, we expect the market to move sideways. At the end of the day, Morarjee Textiles zoomed 20%. The board of the company is considering the merger of its subsidiary Integra Apparels and Textiles Ltd with the company. Wipro remained flat after the company secured an order from Financial Intelligence Unit, a unit of the ministry of finance, to develop an information technology network to track all irregular financial transactions. Kale Consultants jumped 8% after the company secured an order for one of its airline software products for an undisclosed sum. Nissan Copper fell 1% after Danial Investment, a promoter group company, pledged seven lakh shares representing 4.81% stake of the firm. Man Industries (India) surged by 4% after the company secured an order worth Rs950 core from Kuwait for supply of 1,70,000 tonnes of large diameter pipes in both LSAW as well as HSAW segments. Chambal Fertilizers & Chemicals Ltd has taken delivery of a new Aframax Tanker, ‘Ratna Shalini’ (DWT 105,000MT), from Hyundai Heavy Industries Co, South Korea. The stock remained flat. ABB Ltd has won orders worth $22 million from Haryana Vidyut Prasaran Nigam Ltd to provide four turnkey substations for the regional grid. However, the stock was down 1%. Patel Engineering has received approval from the government for coal linkage for its thermal projects, to be implemented by its wholly-owned subsidiaries. Coal deliveries are expected in 24 months from now. The stock remained flat. During the day, minister of state for finance Namo Narain Meena said that the government will continue with economic reforms to strengthen the economy. Vice president Hamid Ansari suspended seven MPs for disrupting proceedings in the Rajya Sabha over the Women's Reservation Bill. The seven members belong to the Samajwadi Party, Rashtriya Janata Dal and LJP. RBI governor D Subbarao said that inflation should moderate in the coming months. He said that the central bank will ensure that interest rate levels do not have a negative impact on the competitiveness of the economy. He added that should India need to manage inflationary expectations, the central bank could turn to its traditional mix of policy tools including use of both liquidity and cash reserve requirements. Mr Subbarao said that the government’s plans to reduce the fiscal deficit this year and in 2011 would help to manage inflationary expectations and facilitate demand for private credit. The government’s borrowing programme is likely to proceed smoothly over the next financial year, he said. India has set its gross market borrowing target for 2010-11 at a record Rs4.57 lakh crore, up by 1.3% from the previous year, a move that has pushed bond prices lower as investors have anticipated a flood of fresh debt supply. When asked if he anticipated a sharp rise in levels of yields in 10-year government bonds, Mr Subbarao said that yields had risen slightly this year but would be managed over the coming 12 months. During the day, Asia’s key benchmark indices in Singapore, Hong Kong, South Korea, Taiwan, China, and Indonesia were up by between 0.05%- 0.52%. However, Japan’s index ended 0.17% lower. On Monday, 8 March 2010, the Dow Jones Industrial Average was down 12 points while the S&P 500 remained flat. However, the Nasdaq Composite Index was up 5 points. As per media reports, the Portugal government launched its own budget cuts to shore up its public finances. The plan includes slashing the budget shortfall to 2.8% of gross domestic product (GDP) in 2013 from 9.3% of GDP last year. In premarket trading, the Dow was trading 38 points lower.